Sgt. 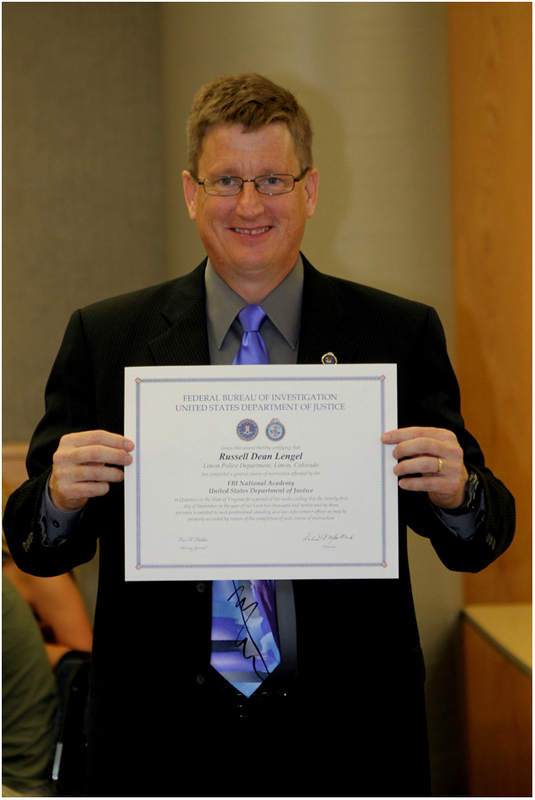 Russell Lengel of the Limon Police Department has returned to work after graduating last month from the Federal Bureau of Investigation National Academy in Quantico, Va.
Lengel attended the FBI National Academy from July 15 through September 21. The 10-week course is specially designed for law enforcement officers to further enhance their knowledge in advanced investigative and management skills. 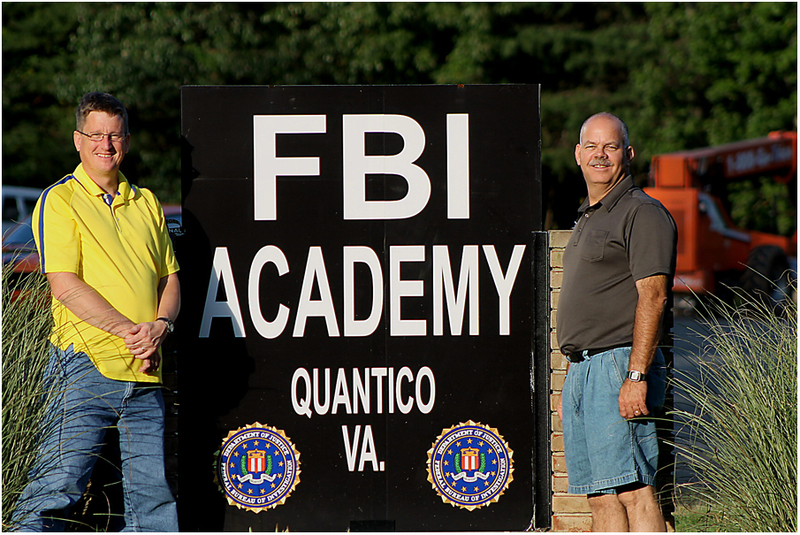 Four of these 10-week “Sessions” for law enforcement officers are held annually at FBI National Academy. Lengel was a member of its 250th Session that began with 272 officers from 49 states, the District of Columbia, 24 foreign countries, three military organizations and four federal civilian organizations. Lengel and the other law enforcement officers received their classes in the same facilities where regular FBI candidates receive their training. 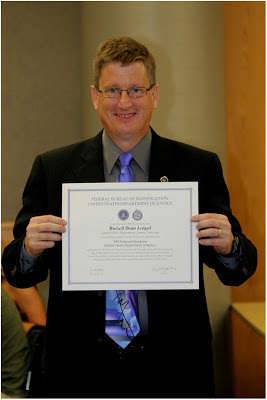 All of Lengel’s instructors were FBI special agents. All of the training was geared to help officers with “real world” police situations. In one of them, Lengel and his students were taken to an training site where the FBI has a mock-up of an average city street. The students were armed with 9mm pistols with blank ammunition and told to meet with an informant on the street. As part of the scenario, a drive-by shooting was then staged with the students expected to react to the situation. As part of their arson and firearms training, Lengel and his classmates took a field trip to the Alcohol, Tobacco and Firearms (ATF) Laboratory in Maryland. They also learned how the ATF lab reconstructs burned buildings and then sets them on fire to determine whether the cause was accidental or arson. In addition, they observed ballistics testing with bullets being shot into blocks of gelatin at the FBI Laboratory. Along with all of the National Academy’s classroom instruction, field trips and scenario training, Lengel and his classmates were required to participate in regular physical fitness training. One of its main features was a eight-part series of “Challenge Runs” beginning with a 1.8-mile race. The Challenge Runs eventually ended during the last week of the National Academy course with the “Yellow Brick Road,” a 6.1-mile run-and-obstacle event that is infamous among all FBI trainees. During that run, they have to jump over a variety of obstacles, climb ladders, scale up and down rock walls, and negotiate trails through wooded and rocky terrain. In addition to its regular training, the FBI National Academy also offered an Enrichment Program that included a series of lectures. Lengel heard presentations by General Hugh Sheldon, the retired Chairman of the Joint Chiefs of Staff, as well as Michael Durant, an U.S. Army helicopter pilot who was shot down in Somalia and held as a prisoner of war. On the weekends, the FBI National Academy organized tours to nearby Washington D.C., as well as to the Civil War battlefield at Gettysburg. Lengel went on those trips, as well as one to New York City that was organized by the New York Police Department. While in New York City, he visited Times Square, Wall Street, the World Trade Center site and took a boat tour of the New York harbor where he saw the Statute of Liberty and the Brooklyn Bay Bridge. 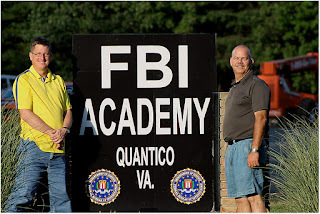 While all the training, trips and lectures were excellent, Lengel said another great feature of the FBI National Academy was that it offered its students the opportunity to “network” with other officers attending the course. Through this networking, Lengel made several friendships with officers from across the nation. 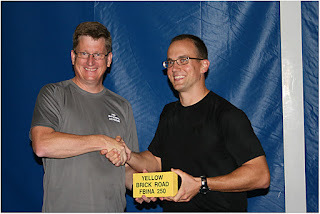 Lengel was among the 262 graduates of the course. He achieved straight A’s for his academic performance. Graduation ceremonies were held September 21. FBI Associate Deputy Director Kevin L. Perkins was the keynote speaker. Limon Police Chief Lynn Yowell and his wife Lisa and Lengel’s wife Corinne and daughter Madison attended the ceremony. Now back at his job with the Limon Police Department, Lengel said his 10 weeks of training with the FBI has furthered his professional development as a police officer. Lengel has been a law enforcement officer for almost three decades. 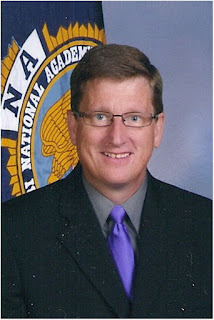 He earned an Associate of Applied Science in Criminal Justice Administration from Pikes Peak Community College in 1984, and was Police Officer Standards and Training (POST)-certified at the Colorado Law Enforcement Training Academy in Golden in 1985. Lengel is married to Corinne Lengel who is the Lincoln County Clerk and Recorder. They have two daughters, 21-year-old Hilary, a student at the University of Nebraska – Kearney, and 16-year-old Madison, a Limon High School sophomore. They also undergo several fire training sessions prior to their start of the firearms training.